Back Porch Produce rests in a sloped meadow at 8050 feet on the side of the Grand Mesa, surrounded by woods, creeks, and springs. First established to feed our family we have since grown to serve Plateau Valley and the Grand Valley with naturally grown produce and berries. Currently growing an acre of veggies I am in the process of planting half and acre of perennial berries including currants, raspberries, goose berries, and more. As well as a small but growing apiary to provide honey from pollen gathered from the farm and local wildflowers. All naturally grown without the use of pesticides. 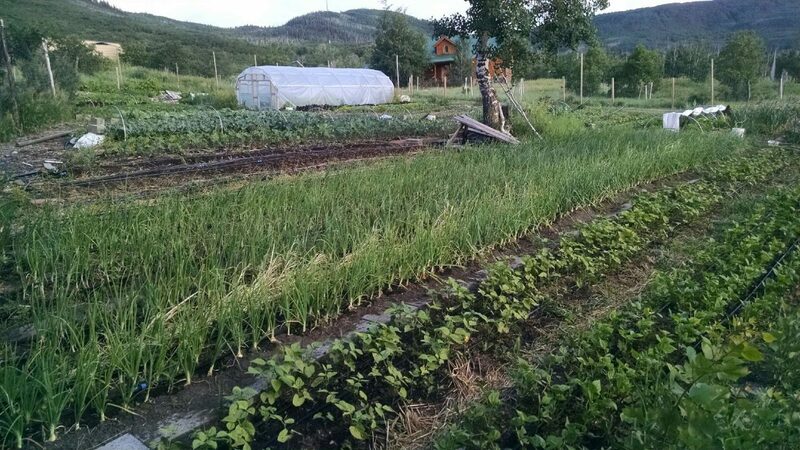 The farm has a short growing season averaging 100 frost free days but the cool temperatures during the growing season creates flavorful roots and excellent greens all season. Back Porch Produce Mesa Blog at WordPress.com.